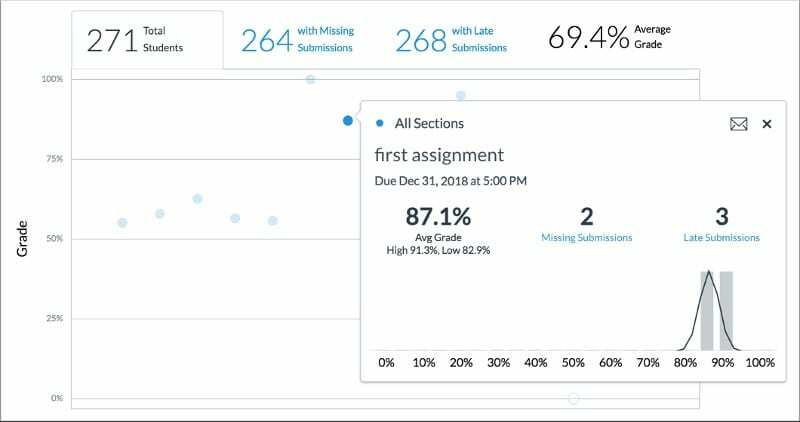 Analytics beta is an LTI tool which provides improved analytics for tracking student data using an interactive chart or table. 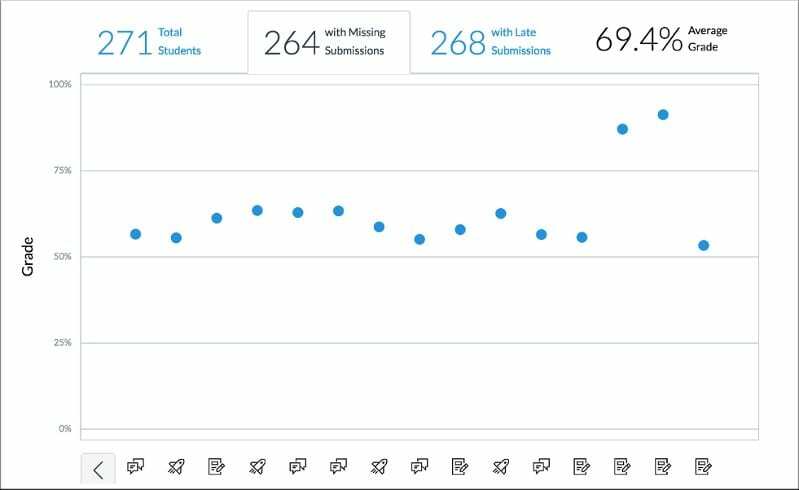 Analytics Beta can be accessed through a course navigation link that is only accessible to admins, instructors, TAs and designers. You can view average course grade for all course data using an interactive chart or table. Data can be filtered by section, student or assignment. Additional filters can be applied to view data by submission status and assignment type. Data can be exported as a CSV file. A summary card can be viewed for any data graph point or table percentage by clicking the data point or percentage. Messages can be sent to students whose grades are within specific criteria. Analytics Beta and the current Canvas analytics can be used concurrently.